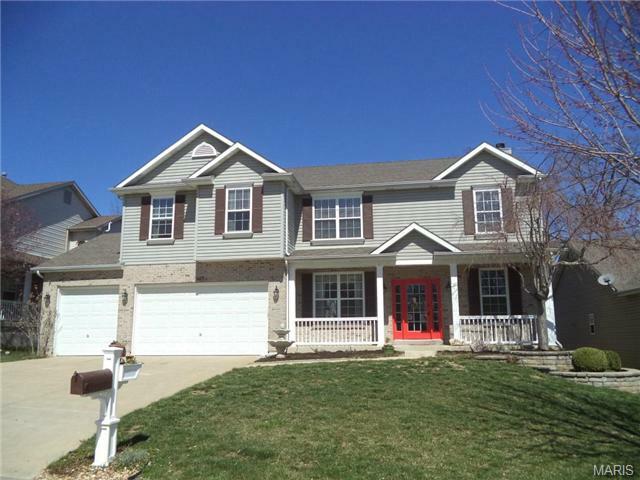 Located in Jefferson County real estate, High Ridge MO homes for sale are a part of the small community lifestyle. About a half hour drive west from the lively city of St. Louis, the small town of High Ridge. This quaint town boasts a low crime rate and high-rated school districts make this a great place to not only live, but to raise a family as well. High Ridge MO Real Estate and High Ridge MO properties are a perfect addition to the St. Louis Real Estate market. High Ridge real estate is made up of both established and newly constructed homes. These single family homes offer floor plans with 2 bedroom, 3 bedroom or 4 bedroom options. Homes for sale in High Ridge MO range in price from approximately $35,000 for mobile homes to approximately $450,000 for nicer homes on acreage. The median home price in 2014 was approximately $160,000. High Ridge encompasses all of the beauty Missouri’s nature has to offer from the hillsides to the sprawling forests, creek beds, ponds and rivers too. It’s no wonder that High Ridge was chosen to be the home of the Beaumont Scout Reservation, summer camp. Located on over 2400 acres, this camp boasts an extensive range of activities for scouts to enjoy such as their multiple swimming pools and ropes courses. High Ridge Civic Center also features a range of activities for people of all ages, such as Martial Arts, Youth Sports, Volleyball, and other Community Events. One can also enjoy the great outdoors of High Ridge playing a round at the beautiful Sugar Creek Golf Course. High Ridge also happens to be only 20 minutes away from the larger suburban city of Eureka, which happens to be where the theme park Six Flags St. Louis is located – a prime destination for family fun in Missouri. If you’re interested in learning more about selling a home in High Ridge MO or buying a home in High Ridge MO, please contact St Louis County real estate expert, Sharon Colona and St. Louis Realty for a professional and simple buying or selling process. Call (636) 397-7653 or email at scolona@stlouisrealty.net. Exceptional 5 bd/6 bth 1.5 story custom home inside and out w/over 4400 sf nestled on 3+ acres & overlooks Paradise Valley Golf Course in AAA Rockwood School District. Full brick/stone front, Formal Dining Rm w/designer ceiling & Gorgeous 2-Story Great Rm w/ stone fireplace & impressive wall of windows. Gourmet Kitchen is every cooks dream w/custom cabinetry, glass cabinet fronts, cabinet lighting, granite island w/builtin microwave, Sub-Zero, Wolf, & KitchenAid stainless appliances, pantry, planning desk, heated floors and more! Kitchen opens to Hearth rm w/2nd gas fireplace. Deluxe 1st floor Master Suite has Luxury Bath w/dual sinks, separate tub & shower, his/her closets. 2nd flr offers Lrg Bonus rm, Powder rm, Guest Suite w/full bath & 2 addtnl bedrooms w/shared bath. Beautifully finished lower level has Entertaining Space, Wet Bar, Media Rm w/elevated seating and surround sound, 5th bedrm, full bath, walkout to a 2nd covered composite deck, 3 zone HVAC, 3 car oversized garage! Unbelievable new Display/Inventory home. Gorgeous open floorplan, 10 foot first floor walls plus vaulted ceilings! Totally loaded with with luxurious finishes and custom quality features. Hand-scraped hardwood floors, zoned heating and cooling system, custom cabinetry, stainless Kitchen Aid appliances, Elegant granite countertops. Great room features heatilator direct vent fireplace with elegant stone masonry surround and charming build in shelving. Can lights galore! Luxurious master bath with granite vanity tops and custom tile shower. Walkout basement, stunning views, Rockwood Schools, the list goes on and on. Amazing. More pics to come soon! Open house 1/7/18 cancelled due to weather. Stunning ranch built by Whalen Custom Homes w/bright & open floorplan 3 Bds, 2.5 Bths & 3,000+/- sqft. Striking curb appeal w/brick & stone fa xE7;ade, charming covered porch opens, inviting Entry w/archways & wood floors lead to formal Dining Rm & adjacent Office w/French doors. Vaulted Great Rm w/stone FP flanked by custom built-ins! Perfect home for entertaining! Gourmet Kitchen w/custom cabinets, SS appliances, butterfly island, granite, walk-in pantry, adjoining Breakfast Rm & vaulted Hearth Rm. Laundry Rm, Mud Rm & Powder Rm too! Elegant Master Ste w/tray ceiling, walk-in closet & luxury Bth w/dual vanities, soaking tub & separate shower. Main Flr also finds 2 add x2019;l nice-sized Bds & full Bth. Deep pour walk-out LL w/rough-in is ready for finishes & includes a library area! Highlights include: 10ft ceilings, zoned HVAC & much more! Relax outside on deck & admire the views, or enjoy large level side yard w/plenty of green space! Great location, easy access to hwys! Rockwood Schools! WHY BUILD WHEN YOU CAN BUY THIS 2 YR NEW 1.5 STORY 4 BR 3.5 BA IN AAA ROCKWOOD SCHOOL DISTRICT.W/A STUNNING OPEN FLOOR PLAN & OVER $100k IN UPGRADES INC HARDWOOD FLOORS,TRAY CEILINGS,XTRA DEEP GARAGE FOR SUV.STRIKING BRICK & STONE FRONT...THE ONLY HOME IN THE OVERSIZED CUL DE SAC & SURROUNDED BY COMMON GROUND.THE HUGE 2 STORY GREAT ROOM HAS CUSTOM SHELVING,GAS FIREPLACE,FLR TO CEILING WINDOWS.GOURMET KITCHEN W/CUSTOM CABINETS,SS APP,ISLAND,GRANITE,UNDERNOUNT LGHTNG,DBL OVEN,WALK IN PANTRY & ADJ BREAKFAST ROOM.LG 12 x2019; MAIN FLR LAUNDRY.MAIN FLOOR LG MASTER SUITE W/SPA RETREAT W/DBL VANITIES,ENCLOSED WATER CLOSET.STEP INTO THE HUGE CUSTOM SHOWER COMPLETE W/BODY SPRAYS,OVERHEAD RAIN SHOWER,HAND SPRAYER,BENCH.HUGE WALK IN CLOSET.THE 2ND FLR LOFT IS THE PERFECT HANGOUT.3 LG BEDROOMS W/WALK IN CLOSETS,JACK & JILL BATH FOR 2 OF THE BRS,THE 3RD BR HAS BATHROOM IN BR THATS ACCESIBLE THRU LOFT.DUAL ZONE HVAC,9 FT POUR WALKOUT BASEMENT READY TO BE FINISHED,ADDING 2k SQ FT TO THIS 4K+ SQ FT HOME. Wonderful maintained 2-story home set in desired Estates at Williams Creek! Designed w/all the features that you ONLY get w/NEWER construction! 9'ceiling main floor, great room w/gas fireplace, recessed lighting. Stunning kitchen boasts 42 dark stained cabinets, center island, SS appliances, walk-in pantry & hardwood floors! 2 story foyer, walk-in coat closet, home office, formal dining room/living room, MAIN FLOOR LAUNDRY & half bath! Huge loft/family area in upper level, 4 SPACIOUS bedrooms w/ Jack & Jill layout makes each bedroom have access to it's own bathroom & walk-in closets! Master Suite w/coffered ceiling, soaking tub & separate shower, large walk-in closet! Large stamped patio to enjoy your green space, herb garden & playset! 9' pour basement, Dual HVAC System, upgraded baseboards, satin nickel finishes, decorative 2 panel doors, NEW Tankless water heater, NEW carpet and built with an Energy Saving Package! ROCKWOOD SCHOOLS! Gorgeous Harter Farms Home just hit the market in High Ridge! This spacious 2-story home is one-of-a-kind featuring 4 bedrooms, 2.5 bathrooms & over 3,000 sq ft! First floor feat. open layout with grand 2-story foyer, hardwood floors, formal dining room, formal & informal den/offices, half bath & living room w/wood-burning fireplace! Kitchen equipped w/upgraded stainless steel appliances, dark cherry cabinetry, walk-in pantry & fabulous over-sized breakfast room! Upstairs you'll find all 4 bedrooms complete w/ HUGE master suite w/ dual sinks, separate tub/shower. The spacious, additional loft space makes for a fantastic separate living/family room area, too! Main-floor laundry for your convenience! Unfinished LL walk-out ready for buyer's personal touches! Seller willing to provide $5k credit toward deck at Closing with reasonable offer! Located on a cul-de-sac, this home is zoned for the Northwest School District. A contemporary home nestled among the trees located on a cul de sac in a upscale neighborhood. This beauty could be yours. A great buy for someone looking to make it their own home. This is a Fannie Mae HomePath property x2022;HomePath xAE; is proud to launch our HomePath Ready Buyer program, a comprehensive online homebuyer education course. First Time Homebuyers who complete this education course prior to their initial offer may request up to 3% closing cost assistance toward the purchase of a HomePath property and reimbursement of the HomePath Ready Buyer training cost. Are you looking for a quiet retreat? Look no further than this updated home on more than four wooded acres in High Ridge! The bright, open floor plan is great for entertaining, complete with gleaming hardwoods throughout the main level. The living room has a cozy fireplace and views of the valley. The kitchen has stainless steel appliances, marble tile floors, a breakfast room, and Corian counters. The master suite has new carpet, a walk-in closet with organizers, and a jet tub. Two more bedrooms and another full bathroom complete the main floor. Stairs take you up to a loft bedroom. The recently refinished lower level features a large theater/billiards room, a family room with fireplace and bar, workshop, and half bath. Covered path to the oversized 3-car garage, plus a second parking pad. The backyard is fenced with a fire pit, patio, and deck that overlooks the lovely view! Moments from Highway 44 or the shopping and restaurants in High Ridge, this is one you won't want to miss! Move right in 3 bedroom ranch with 2 full. Main floor laundry . Divided bedroom floor plan. updated kitchen and baths. large family room with fireplace. newer carpet. Garage is 28 feet long and completely dry-walled. Cedar 8X10 cedar deck with stairs leading to a level yard. Home sits on 1.5 acres and backs to woods. Better than new! Owner has done a fantastic job and completely rehabbed this home in 2004/2005 all the way down to studs. Newer roof, one newer HVAC 2019, DUAL HVAC SYSTEMS newer water heater, plumbing was updated, newer windows. . Electrical upgrade. xD; xA;Also 2002 poured newer section of basement of foundation under south end of house. Offers plenty of privacy. Come see for yourself. Seller offering Choice Warranty Home Protection Plan $740. Wonderful 3BR RANCH in High Ridge! Very pretty home with great landscaping touches and above ground pool (only 6 years old)! You'll love the open kitchen with 42 custom cabinetry! Spacious living room and generously sized bedrooms make this home a perfect fit! The sunroom/family room adjoins a large deck and overlooks the pool and has a great office/den area as well! Everything is in great condition and move-in ready! The lower level has some finished areas as well and could be a great rec room or additional sleeping area. The walkout to a covered patio is perfect for those warmer days and BBQ's. Pool has a deck perfect for relaxing in the sun or jumping into the pool! Very convenient to Hwy 30 or Hwy 44, close to shopping and restaurants too! Recent appraisal of $205000 - so instant equity!! This adorable 4 bedroom/2 bathroom home has been renovated for you. Sitting on more 2 acres, it is conveniently located close to hwy 30 or hwy 44. Close to shopping, schools, churches and private. The kitchen features custom cabinets with stainless steel appliances. The beautiful wood burning fireplace surrounded by custom shelves is definitely a conversation piece. The living room is large and great for entertaining. The laundry room could also serve as a mudroom to protect your new flooring. The hall bath has a charming built in medicine cabinet. The brand new master bath features a cute vanity and large shower. OPEN HOUSE Sunday, March 24th, from 1:00-3:00 P.M. Seller finishing minor all rehab items. Looking for a move-in ready, updated, ranch home in High Ridge, you don x2019;t have to look any further. Come enjoy this newly rehabbed 4 Bedroom (3 on Main Level, 1 in Lower Level) 2.5 Bathroom (1.5 Main L., 1 Upper L.) home with a fenced in yard & a deck that is great for BBQs and plays. Enter through the front door to an open area of kitchen/living/family room separated by a center island. All new kitchen has custom cabinets, tile floors, granite countertops, new refrigerator, range/oven, dishwasher and a disposal. Sliding door from the kitchen takes you to the deck in the back yard. Next to the kitchen is the dining room. Hallway leads to the full bath and 3 bedrooms, master with a half bath. This walk-out basement is almost fully finished. The only exemption is the 13 ft by 13 ft storage area and HVAC & water heater. Huge rec room is your empty canvas to decorate/furnish to your liking. Price just reduced below appraised value. This home has been loved for many years. New carpet and paint just completed Jan of 2019. Quiet dead end street. Close to Hwys and shopping. Private back yard. 1300 sqft home has a large master bed room addition with full bath or could be a family room. The home has marble window sills. Bonus room or screened in porch. Don't miss this one. Loads of updates here! Open floor plan with vaulted ceiling. New kitchen with white cabinets, large breakfast bar and all appliances stay. Spacious bedrooms with all new flooring throughout. Gorgeous master bath suite with walk-in closets, double bowl vanity and large, walk-in shower. Both bathrooms, along with the plumbing has all been updated also! New air conditioner and large deck for entertaining. This is move in ready!